Learn about the temperament and personality of the Pembroke Welsh Corgi. Discover what he's like to live with, his traits and characteristics and how he generally behaves. And look at lots of Pembroke Welsh Corgi photos. The Pembroke Welsh Corgi is an intelligent herding breed, yet "Pems," as they are sometimes called, make excellent companions and family dogs as well. They are people-oriented and like to be part of family life. Playful, gentle and friendly, they are great with well-mannered young children, though they might try to herd them by nipping at their heels. The Pembroke Welsh Corgi is so intelligent, and is such a quick learner, that he really needs a job to do. This is why they truly thrive on farms. However, if given the proper amount of exercise (and they need a lot), they can live anywhere. They are a truly versatile breed. While many of them are currently working on farms, there are just as many Pems serving as therapy dogs, and performing in the agility ring. A Pembroke Welsh Corgi is usually very protective, and very vocal, so they make great watchdogs. But be prepared: sometimes they like to bark just to amuse themselves. They love to go for walks, and are naturally curious. They are always eager to explore new sights and smells. They are sensitive and in tune with their humans, very sensitive to their moods, and have been known to try to "cheer up" a sulky owner. In fact, many Pembroke Welsh Corgi owners claim their dog has a great sense of humor. A Pem likes to pretend he is a lapdog. They are agreeable in a household: playful, sensitive, and rarely destructive. They housetrain easily. 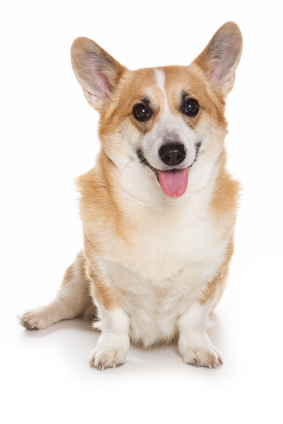 The Pembroke Welsh Corgi is very intelligent and easy to train. He learns new commands very fast. The Pembroke Welsh Corgi is very intelligent and easy to train. He learns new commands very fast. The Pembroke Welsh Corgi is a very heavy shedder. He sheds an awful lot of hair! You'll find hair all over your home, stuck to everything! You'll probably even find it in the butter!